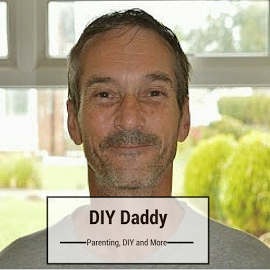 This is my fourth interview in my new series of interviews with pro-bloggers. I have been very honoured and privileged to interview one of the biggest and truly brilliant mum bloggers in the UK today. It’s the Mumboss herself, Vicki Psarias! When I first started blogging and came across Vicki’s blog, I was instantly impressed with her passion. It actually jumped off at you from the page. Vicki is a blogging pioneer, that has helped shape the blogging world into what it is today. Vicki founded Honest Mum while on maternity leave with her first child. It was a bid to help her with her confidence and finding her voice again after a very traumatic birth. Today, it’s turned her blog into one of the most popular in the country. It’s a must stop for parents when needing advice and tips. Vicki has inspired many parents to follow their passions in the digital world. 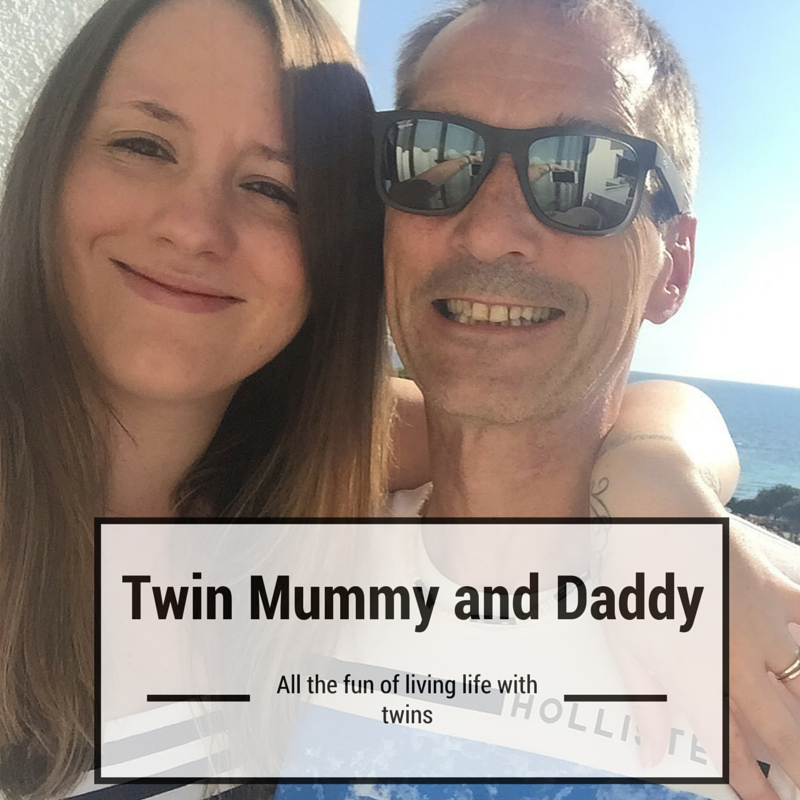 Vicki writes about all the trials and tribulations of parenting and family life, juggling family and work life and getting the balance just right. This leads me on to Vicki’s Debut book, Mumboss, which was released just last week on the 3rd May 2018. Vicki wrote Mumboss to inspire a new generation of parents to develop the confidence to thrive at home and work. There is even a step by step guide on building your own business, with plenty of tips and tricks to succeed in the real and digital worlds to get the balance right in your world. Thank you to Vicki for taking part in my series of interviews. Now onto the questions, which I’m sure you will love reading. It’s thought provoking and insightful reading. I started blogging in 2010 while on maternity leave as a means to rediscover my voice after a traumatic birth. I didn’t even know then that a career was possible but starting Honest Mum was the catalyst to firstly getting back on set as a director and later pivoting into this new digital world. I was quickly offered commissions back in 2010, and by the time I had my second son in 2012, I was a full time blogger and vlogger. 2. Has any previous training or education before blogging, helped you when it comes to blogging? I was a multi-award winning TV Director and Filmmaker and I’d specialised in Journalism in my first degree before my MA. I was also the editor of a film magazine Film & Festivals which was sold in all of the Borders in the UK pre-closure and I lectured at unis too: all of which formed an ideal foundation in which to build a blog and personal brand. I look at my Moz ranking monthly and my Google analytics and WordPress site stats several times a week. I often reflect year to year too. I also look at social insights too and often provide stat coverage for campaigns. I choose not to be on any charts. 4. When you get approached by a brand who want to work with you, how do you decide if its right for you and your readers? I only ever work on campaigns on products that I genuinely like and feel passionate about. I’m in a position where I can be very selective too. I only work with brands I love and use myself. Integrity is everything to me. 5. What do you think are the key ingredients that make a successful top blog? Honesty, integrity, a commitment to honing your voice and craft, and sharing yourself and your world, authentically. Consistently writing and connecting with your readers and working on your own self-development as a person as much as a creative is vital. Most of all it’s crucial to provide something to your reader/ viewer be that an emotional connection, support, advice, information etc. 6. How do you balance your work/life balance? It feels totally balanced this year. I pick and choose the campaigns I want to work on, I don’t feel overwhelmed with work and I make sure I have lots of downtime with my family and friends. I feel really happy and can’t wait to do all the book events across the country and meet my readers. 7. Many bloggers won’t talk about or use photos of their children on their blog. What are your feelings when it comes to talking about your children on your blog? It’s down to the individual. I feel happy sharing my kids’ lives (I don’t share school/ personal details) and they adore being on camera and the experiences my blog brings them. They are very like me, I was a born performer. They are never forced to do anything. 8. You have won awards for your work on your blog. How important is it to win award for your blog? It’s not hugely important to me in all honesty. It’s a compliment of course but I don’t believe anyone should feel less, or more than for winning an award be it in blogging or any of the arts. Art is subjective. It’s vital to keep sharing your art with the world and looking at yourself as the barometer for your success. 9. As the premier mum blogger and influencer in the UK, do you feel under any pressure or certain responsibility in regards to the content you publish? I’ve grown a lot over the years (this is my 7th year blogging) and that includes growing a thick skin too. I truly like myself (something of a rebellion sadly it seems) and no longer look externally for validation. Those days are long gone. This self-assurance has come with age, experience and sadly, adversity. Losing my aunt who was a second mum to me last year put everything into perspective. Now I embrace life to the full and don’t sweat the small stuff. I now know what matters. Health, happiness and making memories with my loved ones. I have big dreams too: to direct a feature film one day (my enduring dream) while combining that with my current career and to have another child too at some point if I’m hopefully able to. 10. If blogging was eliminated tomorrow, what would you do to make a living? I would continue to be creative be that as an artist, storyteller, movie maker, whatever… all the things I’ve done in the past and do today. Be it a big or small screen, we are all endlessly producing content and sharing. I would blog if no one read what I write. It’s not really a choice but a need for me. 11. What do you think your children will think when they are teenagers about how their early life has been recorded online? Happy or mortified? That’s an interesting question, I hope they’ll be happy and proud of the memories we made together and I documented. I kept diaries throughout my childhood and right up to university so I will keep sharing as long as they are happy for me to do so. 12. When family or friends find out you are a blogger, what is their reaction? Everyone I know is aware of what I do but in the early days, I had to explain what blogging was (I was one of the first in the UK across all genres). It’s pretty surreal that we are now stopped in the street several times a week in Windsor/London by readers but to hear that I’ve played a tiny part in other women creating a business or a blog means a lot to me. 13. Since you have started blogging, do you think it has changed and how? I think it’s evolved and that social media and video play a huge part now too but blogs are vital and are going nowhere. Blogs offer access into the writer’s voice and equally huge and endless, enduring coverage for brands in the sense the content never disappears (I have posts which garner huge daily views that are many years old) and there is such beauty and depth to the longer form blogging provides for the creator and the reader. As long as there are search engines and people asking questions online, or those seeking personal narratives, there will be blogs. Storytelling never dies. 14. Is there any subject you won’t write about on your blog? If so what and why? There is so much that I keep private. The beauty of blogging is that you are the editor of your work and thus can select what to share and what not to. 15. Do you find Pr’s and brands easy to deal with? Yes, some PRs have become very close friends, one in fact , Lucy, is like a sister to me. I’ve never understood the ‘me and them’ ethos some creatives have towards PRs as we all want to produce the best possible campaign for both ourselves and the client. One that is natural and authentic and emotive. We are managing the magazines of our lives and it’s such an enriching and empowering thing to do. 16. Where do you see your blog in five years time? Will you still be writing it, or will you have moved onto something else? I will still be writing it if 10 million or just 10 people read it. It’s the first place I go to when I need to process both the happy and sad times I experience in life. It’s therapy to me. Nothing feels more cathartic than blogging, whether I publish the posts I write or not. 17. What has been the most exciting thing to have happened to you from being a blogger? Oh gosh, there are honestly too many to mention…But (bahaha) the book deal for Mumboss was a dream come true amazon.co.uk/Mumboss-Honest-G uide-Surviving-Thriving/dp/034 9416699 as was collaborating with heroes like Jamie Oliver, the late Antonio Carluccio OBE which was always so much fun and Antonio taught me so much about the art of food… appearing on Good Morning Britain and presenting for them is always a joy, seeing my son Oliver make an animation for a brand…Making my folks proud, and of course being the first blogger (they think potentially in the world) to represent an airline and make history have all been hugely special moments. There’s a lot more I hope to achieve too. Most of all it’s to continue helping others. Seeing parents grow in confidence or connecting others to help build one another up, is what drives me. I’m a giver baby! I’ve helped others get book deals, get on TV or be commissioned on large scale campaigns and nothing feels sweeter. 18. Finally did you ever in your dreams think that you would become a premier mum blogger when you started? Ha, I literally never think of myself in that way but thank you. I want to keep doing what I’m doing and hopefully inspiring others in the process. Love Vicky. She is so inspiring, always has been. This interview is no different! Thanks for sharing with #TriumphantTales, hope to see you again next week. As you rightly say Nigel, Vicki is a pioneer and her blog has very interesting foundations. Always good to hear what Vicki has to say as she has such amazing vision. Mumboss is a natural extension of her digital offering. She sounds amazing! That was a very interesting and thought-provoking interview.